The holidays are here, and everyone’s hunting for the perfect gifts to give. And while they say it’s the thought that counts, we’d like to suggest that the vessel you use to deliver that thought counts, too! Sure, you can use corrugated boxes, apparel and gift boxes, or even gift bags—but why not have a little fun? Using mailing tubes is unexpected, original, and will make you look like a very clever gift-giver. 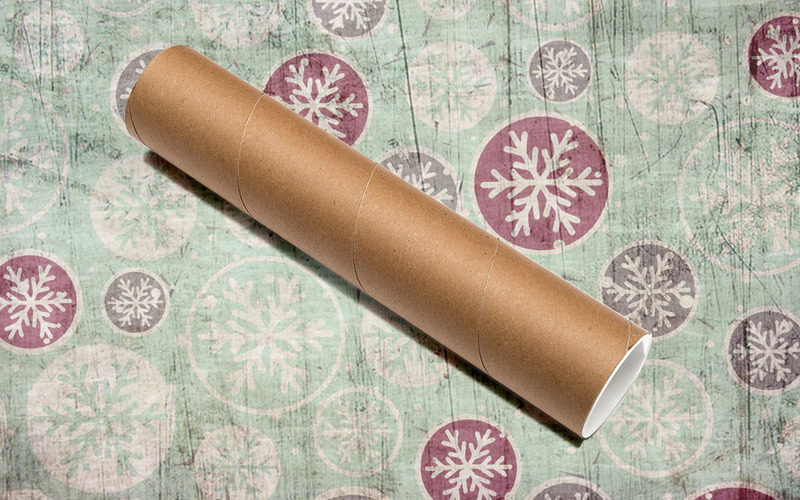 Here’s 5 gifting ideas for using mailing tubes this Christmas season. They’re tried and tested by us, too (and by testing, we mean we ate ALL the candy and treats once we were done. No shame!). How do you hand-deliver a bottle of wine? Usually by gift bag, right? There’s certainly nothing wrong there, as it’s attractive and easy to carry around. But you seem the type to try new things, and we’d say a wine bottle in a mailing tube is certainly a new thing. You’ll need a wide mailing tube (or a narrow bottle of wine), and we suggest wrapping the bottle in some tissue paper. It prevents marring of the glass and label, and adds an interesting touch when it emerges from the mailing tube. Just remember, you should only be using mailing tubes for gifting if you’ll be hand-delivering this gift. Apparel boxes make it too easy to guess what’s inside. But, if someone were to hand you mailing tubes as holiday gifts, would you be able to immediately discern its contents? Therein lies one of the strategies of using mailing tubes, and why they’re so good for thinner clothing pieces. Simply roll up a t-shirt (or some socks? maybe both? ), and gently place it inside the tube. Just like for wine bottles, we suggest some tissue paper, or crinkle paper for some awesome added texture. Maybe glitter if you’re a real prankster? But we didn’t give you that idea, okay? Well now, this is fun—and easy to put together! Buy a bunch of candy, close one end of the tube with a mailing cap, and stand it upright. Then open those bags and pour, baby, pour! If you want to make this gift a bit more substantial than just sweets and treats, you can do things like bury a gift card or two in there. It’ll take a while for the gift recipient to chow down enough to get to those cards, but man, they’ll love you twice as much! Imagine these laying down on the dinner table. They’ll be the talk of the night, along with the turkey stuffing. Depending on your approach, you can wrap the mailing tubes in tissue paper and close their ends with ribbon, or you could consider some way to have dinner guests pull the mailing caps with their seating partner. Either way, this is a chance to have some serious decorating fun, and a good excuse to buy plenty of party favours (don’t forget the paper crowns! Love those!). This one’s pretty straightforward, but with a ton of creative leeway. Grab 25 mailing tubes, your favourite arts and craft supplies, any gifts and treats you want to use, and unleash your imagination. Advent calendars made of mailing tubes are always spectacular and completely unforgettable. For more tips and guidance, you can check out our blog post on this very topic! By now, we bet your brain’s bursting with ideas for ways to use mailing tubes in your gifting efforts. And, whoever gets those gifts are some seriously lucky people—we admit, we’re just a little bit jealous! We’d love to see what interesting and unexpected ways you’re using mailing tubes, so be sure to comment below or tag us on social media.